There was a time when I would visit my dermatologist every week because the zits kept popping up on my face. From applying medicated creams to using acne-fighting products - I tried it all and none of it seemed to be helping. All the results turned out to be temporary. It was only after trying all my options did I consider giving home remedies a shot. This option may not be every person’s cup of tea, but it certainly worked for my skin. 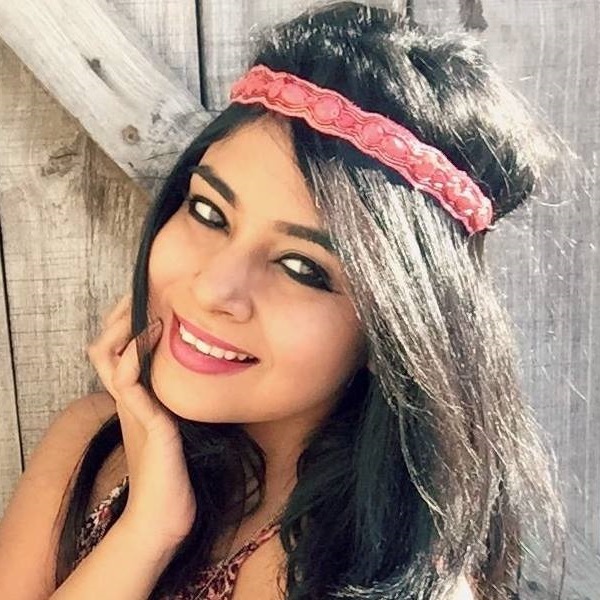 (I still use toothpaste as a quick acne fix) However, if your beauty concerns are similar to mine, feel free to scroll down and pick a home remedy! Good luck. 1. Honey & Cinnamon For The Win! If benzoyl peroxide and retinoids haven’t worked for your skin, maybe it’s time to give this natural face mask a chance. 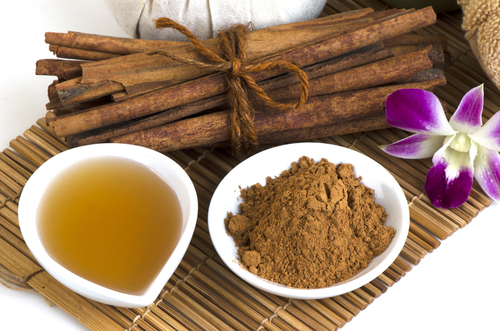 Packed with antioxidants, minerals and vitamins, honey and cinnamon will treat your skin like royalty by healing skin and fighting bacteria. Step 1: In a bowl, mix 1 tablespoon of cinnamon powder and 2 tablespoons of honey. Step 2: Gently wash your skin and apply the gooey paste all over your face. Step 3: Leave it on for 10-15 minutes. Step 4: Wash the mask off with chill water after. If you’ve noticed, the aloe plant is found in almost every Indian household. After all, the gel has sulfur and salicylic acid in it. It is these very properties that heal skin from rashes, burns and abrasions. Step 1: Use a spoon to scrape the gel out of an aloe plant. Step 2: Apply the directly to your skin and let the gel stay on for 10 minutes. Step 3: Use a wet wipe to cleanse the mask off after you’re done. Also Read Pimples On Chest: Cause, Home Remedies And More! Oatmeal is not only good for your tummy but is also good for your skin! It will keep your pores squeaky clean and absorb excess oil. Step 1: In a container, squeeze the juice of one lemon, add 1 scoop of honey and a cup of oatmeal. Step 2: Blend all the ingredients well and rub the mix all over your skin. Step 3: Leave it to dry for 20 minutes. Step 4: After the mask hardens, use lukewarm water to wash your face. I’ve tried this home remedy before and I swear by it! Applying toothpaste to your zit can actually reduce swelling and dry out the acne. You totally must give it a try. Of course, this is the non-gel, sodium-based paste. Step 1: Apply a tiny amount of white toothpaste to your zits. Step 2: Leave it on overnight. Step 3: Wash your face with warm water in the morning. We bet you love oranges because they taste yum, but did you know that this fruit can put an end to acne too? It sure can! Loaded with vitamin C and acidic properties, this baby will treat acne like a pro! Step 1: After relishing an orange, don’t toss the peels into the bin. Place them on a plate and keep them out to dry in the sun. Step 2: After a day or two, take the peels and crush them using a pestle stone. Step 3: Add the powder to half a cup of water and mix well using a spoon. Step 4: Apply the citrus mask to the affected area and wait for 15 minutes before washing it off. Antiseptic, anti-inflammatory and antimicrobial - these leaves have it ALL! Applying the neem paste on your pimples will reduce swelling and soothe inflamed skin. Step 1: Make a paste using neem leaves and turmeric powder. Step 2: Gently apply it all over your face and massage the paste into your skin using your fingertips. Step 3: Once the mask is on, avoid touching your face for 45 minutes. 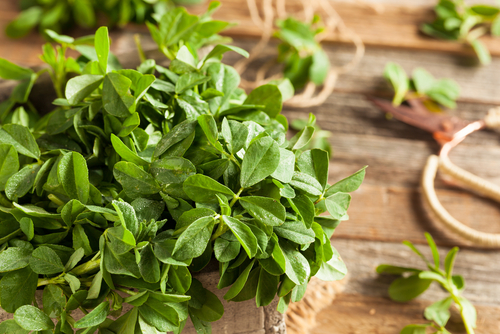 You can use fenugreek seeds, but using the leaves are more effective. They’ll heal your skin and prevent acne from showing up ever again! Step 1: Before making a paste of fenugreek leaves, wash the leaves well. Step 2: Then, put the leaves into a grinder to make a thick paste. Step 3: Apply the paste over your acne and leave it on for about 5-10 minutes. Step 4: Use a damp towel to wipe the green mask off. Ice cubes are perfect for reducing pain and inflammation. All you’ve got to do is wrap the cube in a cloth or put it in a plastic bag. Place it firmly on the pimple for 30-40 seconds. You’ll instantly notice that it reduces inflammation, lightens redness, removes dirt and closes skin pores. It works like a charm always. For treating acne and scars like a pro, tea tree oil is the best! It has antibacterial properties that help fight bacteria, aid the healing process and reduce inflammation of a pimple. The easiest way to go about it is to dip a cotton ball into tea tree essential oil and gently dab it on the pimple. Let it stay on for a good 15-20 minutes and wash it off after. You’ll definitely notice a big difference. Steaming is like detox for the skin. If you have an annoying zit, be assured that steam will do your skin good. It helps open the pores and allows your skin to breathe. You can either use a steamer or a vessel containing hot water. Place a hand towel over your head and take in the steam. It helps keep bacteria, oil and grime at bay. Make sure to use a toner once you’re done. 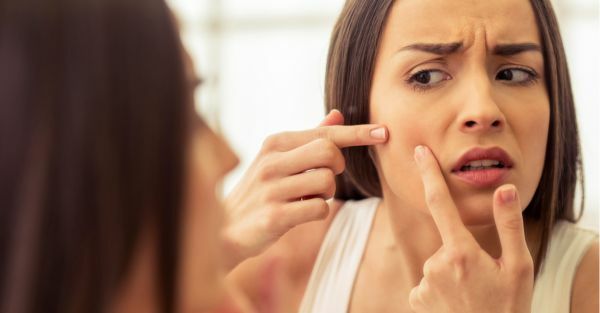 It may sound gross, but dabbing on some of that sticky stuff from inside your mouth early morning can zap the pimple in no time. The saliva in our mouth, before we wash our mouth in the morning, has some amazing antibacterial properties and can be your saviour in times like these. Apart from being essential to cocktails, this particular liquid has some amazing antibacterial and antifungal properties. Want to zap a zit urgently? Rub some alcohol onto the inflamed area and get ready to forget about your worries, ladies. These remedies are great, but if the acne persists please consult a dermatologist. Your problem might be deeper and might need medication.